By buying back Dell, can its founder make you want its products again? Michael Dell is reportedly set to buy a controlling stake in his company as he, Microsoft and an investment firm look to take Dell back. Sources have told Reuters that Dell, Microsoft and a company called Silver Lake Partners are planning to announce a deal to take Dell private on Monday. This would allow Dell and co to reboot the PC company in secret without having to report every move to Wall Street investors; those pumping money into the company want to rekindle public interest in its computers, tablets and, quite likely, reboot its smartphones. Michael Dell himself is "expected" to buy a majority share by adding to his existing 16 per cent. We reported that Microsoft was sniffing around Dell some days ago, but those rumours suggested that the company would basically buy Dell out-right. Now Reuter's sources are saying that Ballmer and co will be a smaller stakeholder with Michael Dell taking the reigns. 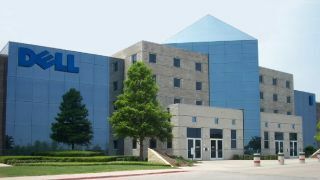 The sources warned that the timing could slip so if Monday comes and goes with no word from the Dell camp, that doesn't mean that the buy-out is off. We should probably stop brainstorming Dell-Microsoft portmanteaus now then, we suppose.